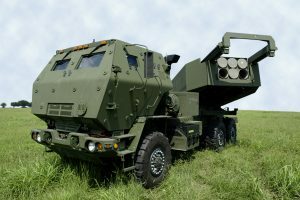 DALLAS, Aug. 14, 2018 /PRNewswire/ — The U.S. Army awarded Lockheed Martin (NYSE: LMT) a $218 million contract to produce High Mobility Artillery Rocket System (HIMARS) launchers and associated hardware for an international customer. With this procurement, HIMARS is now in the inventories of four international partners. The contract calls for the delivery of 18 HIMARS launchers and associated equipment by December 2020. The HIMARS vehicles will be produced from the ground up at Lockheed Martin’s award-winning Camden, Ark., Precision Fires Center of Excellence. Lockheed Martin’s international partners continue to see the effectiveness and reliability of the HIMARS. Performance, interoperability, joint coalition operations and the added value of joint munitions procurement make HIMARS a sound option for nations seeking effective precision fires option for missions.